Home Why Can’t You Throw Away Any Dead Batteries In The Trash? Why Can’t You Throw Away Any Dead Batteries In The Trash? You probably see them lying around in your house and wonder how can you throw away batteries properly. That’s a very good question to think about because it’s a step to help conserve the environment. Until the mid-90s the alkaline batteries contained mercury and then came the Mercury-Containing and Rechargeable Battery Management Act which banned mercury’s use in batteries, and now batteries are much safer. The important thing to remember is to not throw these batteries in the fire. Otherwise, just toss them in the garbage. If the laws in your locality say recycle these alkaline batteries, then send them off to the recycling center or a designated facility. But what do we do about other batteries like those for cars? And the question remains, “Is it against the law to throw away batteries?”. You cannot throw away these batteries. All car batteries need to go to a recycling plant and so should watch batteries. You will need to send them to facilities that recycle these batteries. They are a very harmful to the environment when discarded carelessly. You should probably run a research regarding what laws in your area say about battery disposal and follow those rules. When it comes to car batteries, there are many retailers who will accept your dead battery, and if not then there are specialized facilities for hazardous waste where you should send your battery. Rechargeable batteries contain cadmium and nickel. These are harmful to the environment. Send these batteries either to the landfill, or a recycling facility. Some retailers of electronics will buy your batteries. Then there are lithium-ion batteries. These are commonly used in mobiles and laptops. At their disposal, there are four-fold options. First is sending them to a recycling hub as these are capable of being recycled. Or else, if you wish to dump them, you can do so at a hazardous waste collection facility. There are refurbishing agencies that would accept these used up batteries, and electronic retailers might be in the business of collecting and reusing these batteries and might gladly accept these batteries. Before you go asking a refurbishing agency, click below the link to read about how to dispose of lithium-ion battery. There is a whole other kind of batteries called button batteries. Button batteries are used in watches, and hearing aids and these are made up of very toxic material and should only be sent to a hazardous waste handling facility and while you send them there, do remember to very carefully handle these. The laws for battery disposal vary from region to region. If you are in the UK, then run a search for government laws, and if in the US, then go to your relevant state laws and check. Usually, libraries, community halls, and city halls run these services for battery collection and recycling. When you have collected batteries at home and are waiting a few days before you send them for disposal, then make sure they are inaccessible to children and pets. Always store them in a dry place and where they do not get exposed to heat. Take extra precaution and tape the ends or the terminals of the batteries. Plastic and cardboard containers are best suited for battery storage. Last, of all, do not store various classes of batteries together. Recycling or disposing of different batteries is easy if you know how. 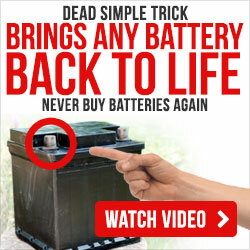 Hopefully, this article is able to answer your question on can you throw away batteries. There are some batteries that can be disposed of easily while there are some that you need to take extra caution when handling. To know more about proper disposal of different batteries, send us an email, and we’ll be sure to answer them.